Eugene is a city in the State of Oregon. It’s the 2nd largest city in the state. 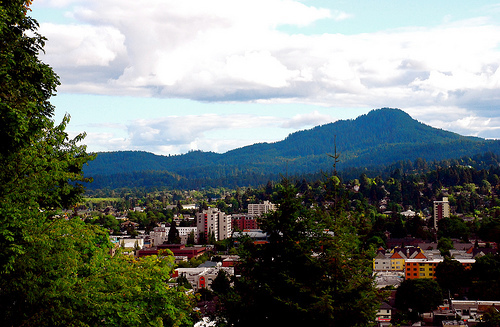 Eugene is the county seat of Lane County. It sits on the Willamette River. Over 150,000 people live in the city. University of Oregon is located here. Eugene has a college town feel. It’s an attractive city with a nice downtown. Great shops and restaurants can be found there. There are also many good parks in Eugene. The cost of living in the city is low comparing to other places in the area. Summers in Eugene are warm and dry. Heat is possible from time to time. Winters are cool and wet. Snow is really rare. It can be foggy sometimes. Many people come to Eugene every year. Some relocate, some are students who come to study. Some open businesses in Eugene. Whatever the case is, these people need Eugene Auto Shipping. If you are one of them, you should be ready for some research. It’s important to book reliable Eugene Car Transport services. So you need to make sure you have chosen the most dependable of Eugene Auto Transport companies. When you deal with a Eugene Auto Shipping company, it is not just about the price. I’s more about the quality and kind of services they provide. So make sure to choose carefully! AM PM Auto Transport is a Eugene Car Shipping company you can rely on. Since 2008 we have been providing our customers with great Eugene Car Transport. We can also always match the prices with the companies who have ratings as high as ours. If you need our help with Eugene Car Shipping, just give us a call! We can ship any vehicle. We also have special discounts!